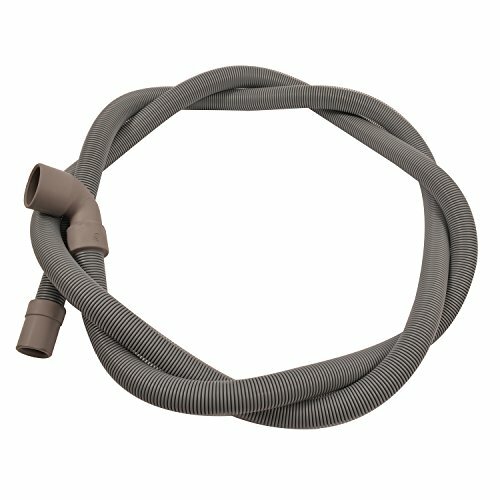 Hotpoint Washing Machine 2.14m Drain Hose to Sink. Outlet Waste Pipe. Fits models: AQ9D69IUKV, AQ113D697IUK, AQ9L292UUKVE, AQM8D69IUKV, AQ113D697SUK, AQ9D69SUKV, AQ9L29IUKV, AQM8F49IUKV, AQ113D697UK, AQ9D69UUKV, AQ9L29UUKV, AQM8F49UUKV, AQ113F497EUK, AQ9F492IUKV, AQGD169SUK, AQM8L29IUKV, AQ113F497IUK, AQ9F492UUKV, AQGL129PIUK, AQXGD169PM.